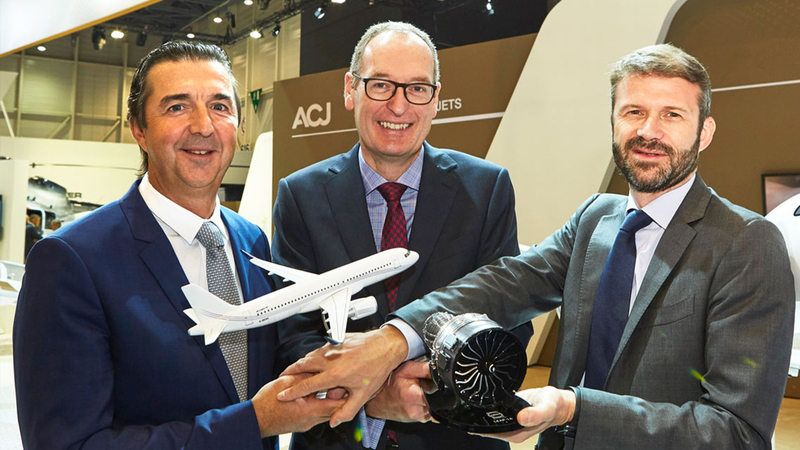 The seven-year-old VIP charter operator, based at Farnborough Airport, UK, with a complementary sales office in Florida, USA, became launch customer for the ACJ320neo when it signed an order with Airbus in May 2015, the same month the LEAP-1A engine completed its maiden flight on the new model. Delivery of the aircraft is scheduled to take place during the fourth quarter of 2018. “We have had a great relationship with Acropolis as a CFM56-5B customer and are delighted that they have chosen to now introduce the LEAP-1A,” said Cédric Goubet, Executive Vice President of Commercial Engines for CFM parent company, Safran Aircraft Engines, at today’s event. “Based on what we have seen with the LEAP-1A engines already in service, we are highly confident that this engine will deliver the quality, fuel efficiency, reliability and environmental benefits that Acropolis has come to expect from CFM.“ Jointly certified by EASA and US FAA, CFM International’s LEAP engines are in service with 12 operators around the globe and are already delivering industry-leading reliability. Together with Sharklets, LEAP-1A engines are already delivering a 15% improvement in fuel consumption on the new A320neo airliner family, compared with aircraft powered by today’s CFM56 engines. Acropolis’ new Airbus ACJ320neo will have a range of 6,000nm/11,100km, which means clients can fly from London to Los Angeles or Tokyo direct and London to Sydney with one refuelling stop. With cabin space of 1,033 sq ft, some 150 sq ft more than in the ACJ319, the ACJ320neo will have capacity for 140 bags. It will also have lower average cabin altitude of 6,400 ft for improved passenger comfort. Other new and improved features of the LEAP-1A engine include fan blades which are manufactured from 3D woven Resin Transfer Molding (RTM) carbon fibre composite, making them lighter – CFM estimates 500lbs lighter per engine – yet increasingly durable. The LEAP-1A engine entered commercial service with Turkey’s scheduled carrier Pegasus Airlines on 2nd August, 2016.